​There is a lot more to automatic cat feeders than just dishing out controlled food portions at predetermined times. 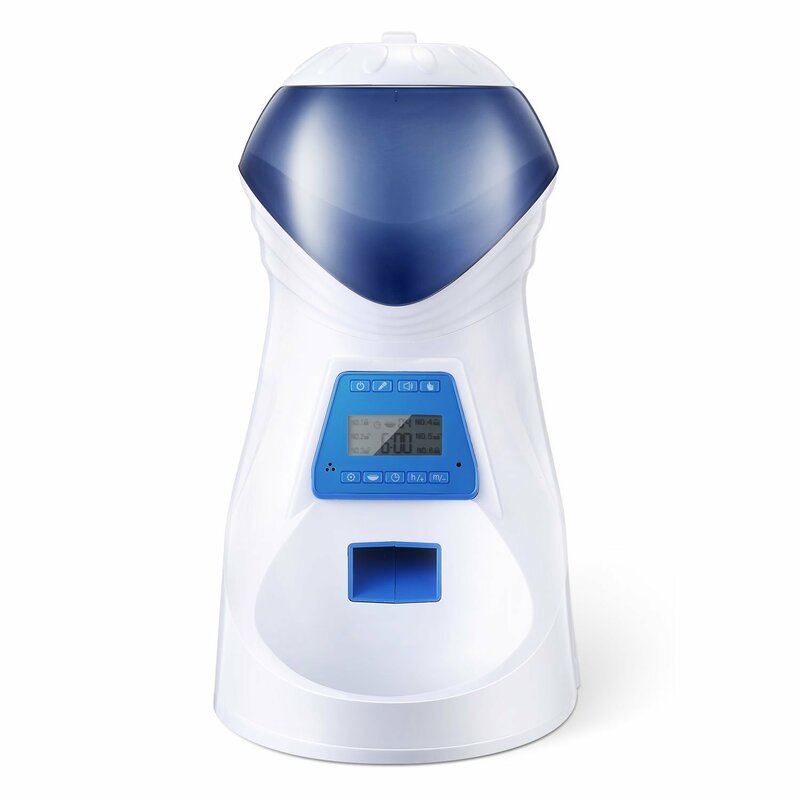 When you want to sleep in or are out of the house on a trip for the day,and you need your cat to be fed at regular intervals without your strict supervision or presence, then getting an automatic cat feeder will do the trick. But what if you have to feed your cat both wet and dry food? Some automatic cat feeders are just meant for dry foods while there are those that can take on both. For your own peace of mind and convenience, it is often best to go for the ones that can take on both, so you can give your cat the kind of dietary variety you would like him/her to have in their lives. With that being said, here are some of the Best Automatic Cat Feeder for Wet Food. All the best automatic cat feeders are easy to use and are relatively easy to clean as well. The HoneyGuardian A25 Automatic Feeder allows you to pre-schedule different meal times, portions and frequencies. This automatic feeder is suitable for both cats as well as small dogs (just do not combine the two)! ​​The HoneyGuardian A25 Automatic Feeder can be used for both wet and dry foods. There is something to be said about technology making our lives that much easier! 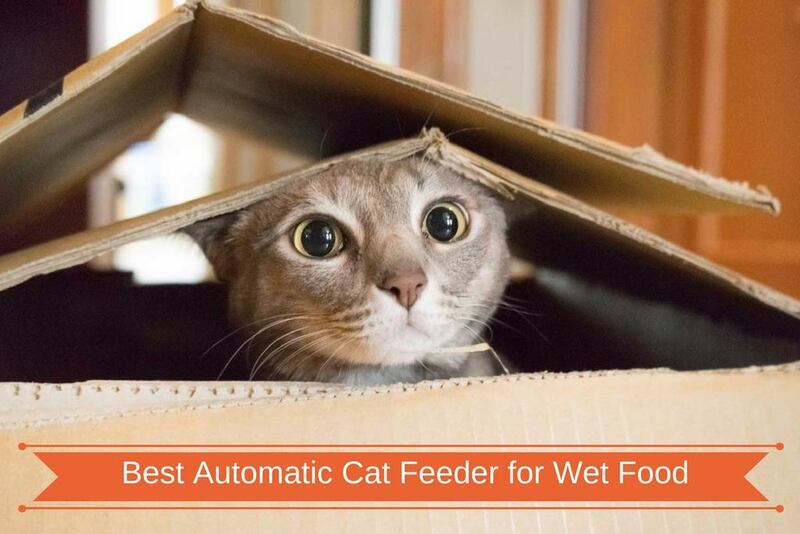 This has to be one of the smartest automatic cat feeders for both wet and dry food on the market today. This cat feeder is so advanced it even has a webcam and is designed to connect to the internet. Unlike most other cat feeders, with the Feed and Go Automatic Pet Feeder with Webcam and Wi-Fi you can actually connect through your smartphone and see how your cat is doing when you are away. It is very much like having a caregiver for your cat right there at home. 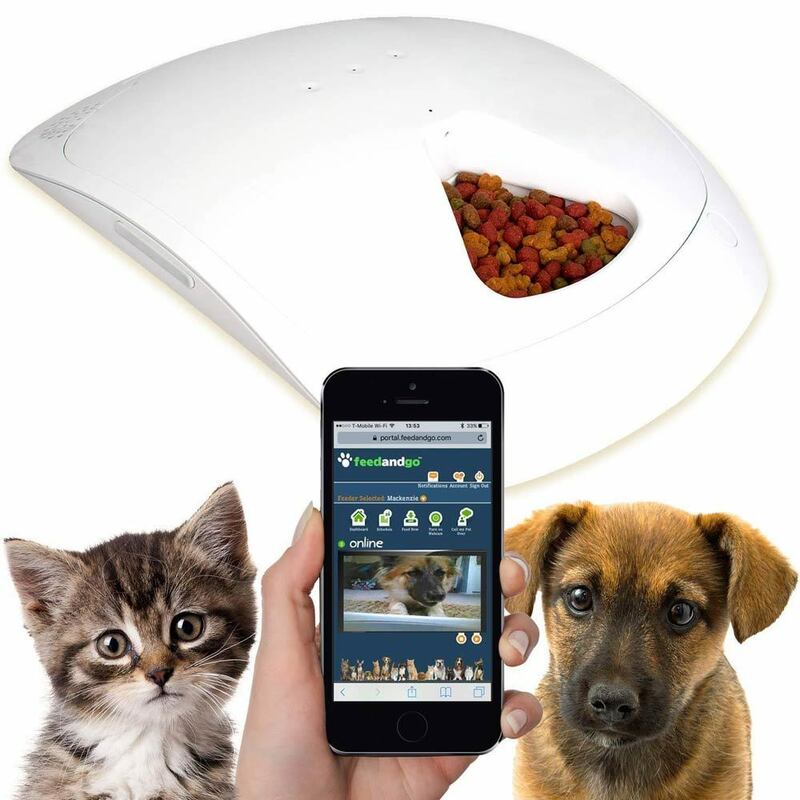 ​​The Feed and Go Automatic Pet Feeder with Webcam and Wi-Fi is perfect for both wet and dry foods. 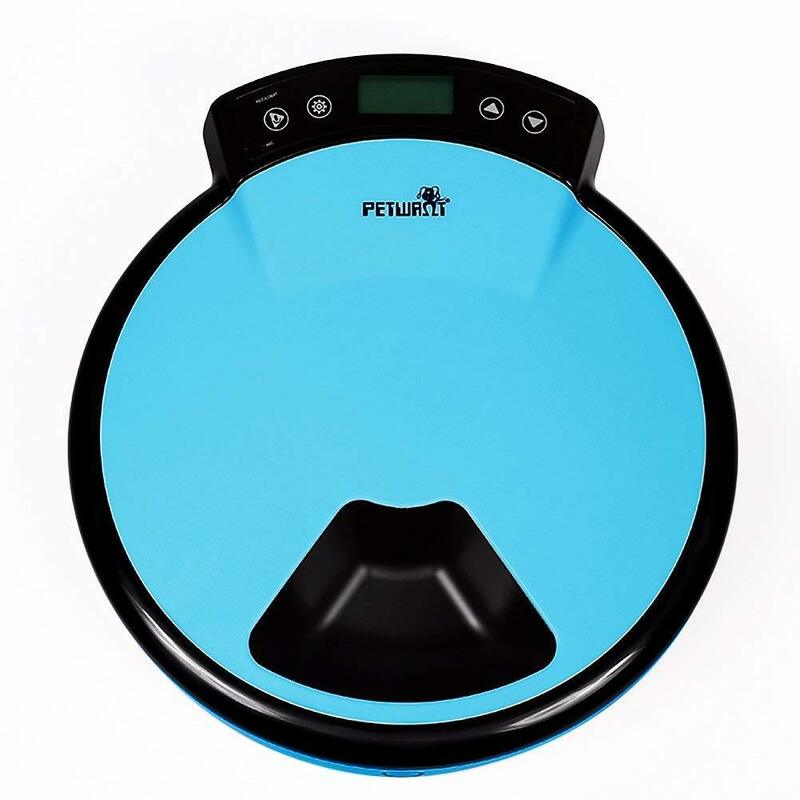 The one thing that Petwant 5 Meal Automatic Pet Feeder brings to the table which most other automatic pet feeders do not is the fact that it allows you to program your cats feeding time to the minute (to the minute and hour) thanks to its digital timer. It does not only feature preset times like most other feeders. Although it is particularly suitable for dry foods, you can serve your cat wet food in it,but you would have to do so within 24 hours. ​​It is perfect for both dry and wet food,but if you are going to feed your cat wet food through this automatic feeder, you must do so within 24 hours. ​​​​​Of course, ultimately, you want to choose something that is not only practical but also efficient and convenient enough to make your life and that of your cat that much easier.